Express Scripts recently announced the launch of Inside Rx, a direct discount program in partnership with GoodRx that will allow some people with diabetes to save on branded insulin and other diabetes medications at nearly 40,000 participating pharmacies in the US or Puerto Rico (excluding Tennessee for now). With average discounts of 34%, the program targets people without insurance or those whose health plans have high out-of-pocket costs (i.e., high deductible plans, large coinsurance, etc.). The currently available Inside Rx discounts range from 16% to nearly 80% for diabetes medications from four big drug makers: AstraZeneca, Lilly/BI, Novo Nordisk, and Sanofi. The discounts seem to be greater for insulin products (mostly in the 40%-50% range) than for diabetes pills (around 20%-30% off). See below for a full list of diabetes medications currently available for discounted purchase with an Inside Rx card (including Jardiance, Tradjenta, and Onglyza). Note that GLP-1 agonists (e.g., Bydureon, Victoza, Lyxumia, and Trulicity) are not yet included in the program. Who will likely benefit from Inside Rx discounts? The program is designed to reduce out-of-pocket drug costs. It is targeted at people without insurance and those whose health plans have a significant level of cost-sharing (i.e., high deductible plans). Who is eligible for Inside Rx discounts? To be eligible, a person must have a valid prescription for a diabetes medication covered through Inside Rx. The program is available in the US and Puerto Rico, excluding Tennessee (Inside Rx shared that it hopes to make the program available in Tennessee soon). Who is not eligible for Inside Rx discounts? Those over 65 years of age and those with state or federal benefit plans (e.g., Medicare, Medicaid, Tricare) are not eligible for the program. Inside Rx shared that it hopes for the age resitriction to be lifted soon. Can Inside Rx discounts be used with insurance? What about other types of financial assistance for diabetes medications? 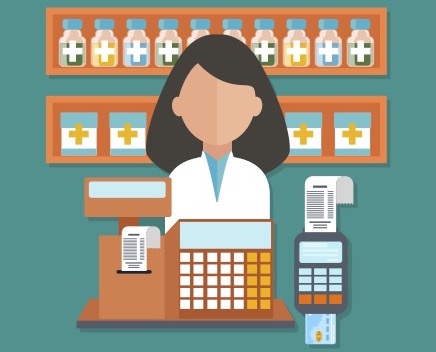 Inside Rx discounts cannot be combined with insurance or with co-pay assistance programs (a form of financial assistance provided by a pharmaceutical company to qualifying people – criteria vary by company and by drug; learn more here). However, having insurance or qualifying for a co-pay assistance program does not make someone ineligible for Inside Rx. What it means is that these people face a choice: use insurance or an assistance program to help pay for a medication (which may include a co-pay) or use the Inside Rx discount and pay the discounted price out-of-pocket. For people covered by insurance or other assistance programs, it will typically be cheaper to use that option than to use an Inside Rx discount and pay the remainder. Some flexible saving accounts (FSA) can be used with Inside Rx discounts, however, so it is important to check the specific terms of your FSA if you have one. Check the Inside Rx website to see if your prescription is available at a discount. Download or print off your Inside Rx card here. Bring the card to the pharmacy the next time you go to pick up your prescription, and a pharmacist will find the Inside Rx price for you. Are there other programs like InsideRx? Yes, and hopefully there will continue to be more to make medications more affordable. Another discount prescription program, Blink Health, launched in early 2017, offering savings in a similar fashion as Inside Rx, but for a narrower range of diabetes medications. Also developed in partnership with Express Scripts, Blink Health offers discounts of up to 51% specifically for brand name Lilly insulins. Learn more about Blink Health from past diaTribe coverage here. diaTribe hopes this program is easy for people with diabetes to enroll in and use. Hopefully the discounts apply to a wide spectrum of people diabetes, especially those really struggling to cover their medication costs. Which diabetes drugs have InsideRx discounts? Have you used InsideRx? Tell diaTribe what you thought, and we’ll report back as we hear more. Read this diaTribe article for other ways to save on costs for diabetes care.